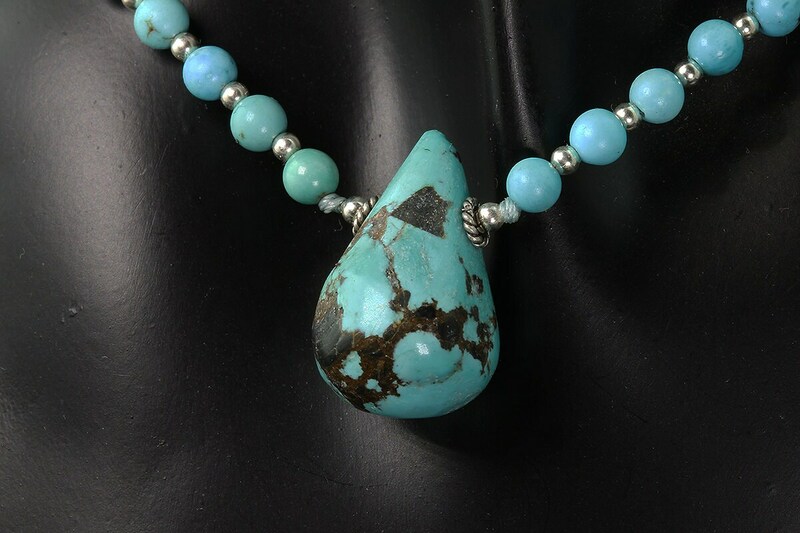 Handcrafted necklace of 3.5 mm - 4mm round, genuine blue turquoise beads with 20 mm teardrop shaped turquoise focal teardrop center bead. 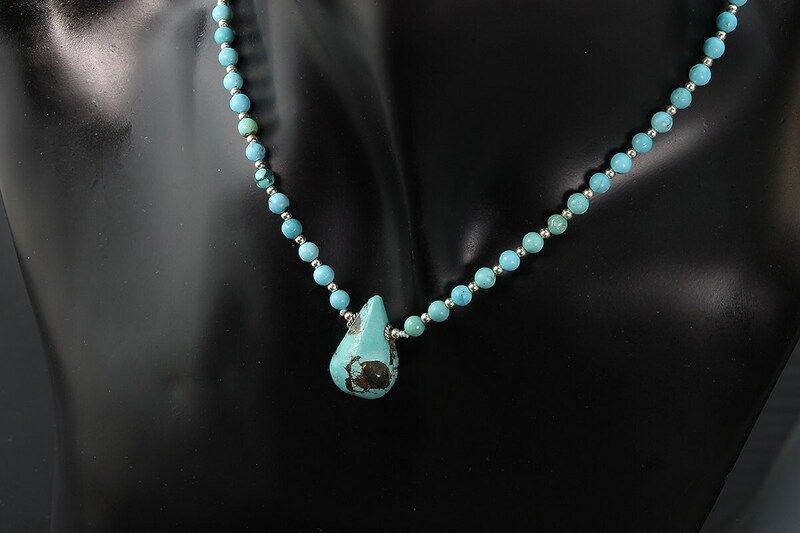 Sterling silver beads and clasp. 18.5"